Tub is pre-levelled for easy installation. The Portrait 5.5 Ft. oval whirlpool features a charming, traditional design. A variable-speed pump with 18 settings powers eight Flexjet whirlpool jets that provide an individually adjustable hydro-massage for those aching muscles, and an in-line, 1.5-kW heater keeps the water at your desired temperature. This KOHLER Experience whirlpool integrates with the Portrait suite to unify your bath or powder room dicor. This model is constructed of high-gloss acrylic and is designed for drop-in installations. Also available in store by special order only see store for details. 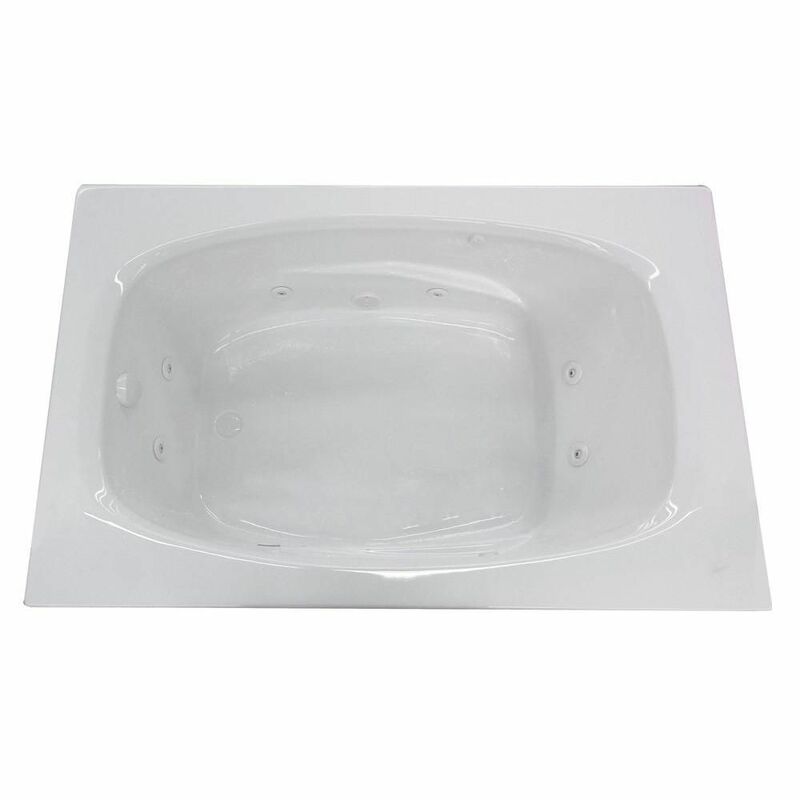 Tiger's Eye 5 ft. 6-inches Acrylic Drop-In Right Drain Rectangular Whirlpool Bathtub Friction Heater in White Tiger's Eye series features a blend of oval and rectangular construction and moulded armrests. Soft surround curves of the interior provide soothing comfort. The narrow width of bathtubs' edge adds additional space.